A foaming�cleanser designed to maintain hydrated, smooth, toned skin for normal and combination skin types. The natural, active ingredients combine to deeply cleanse, remove excess oil and provide hydration. Sulphate Free Foaming Gel soothes skin without drying, rinsing cleanly for deeply cleansed skin. Frankincense Essential Oil for its amazing ability to smoothe fine lines and tighten skins texture. 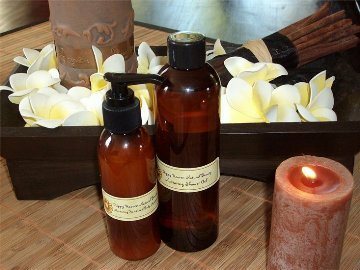 Ylang Ylang Essential Oil balances both overly dry and overly oily skin. Frankincense and Lavender Facial Cleanser and Toner will leave the skin refreshed and perfectly clean, while maintaining moisture. Use prior to moisturising, morning and night, to encourage smooth, perfectly clean skin.